Fritz Kahn was a German physician and writer. In 1926 he created Der Mensch als Industriepalast ("Man as Industrial Palace"), an iconic illustration of the human body as a kind of industrial chemical plant. German animator Henning M Lederer did a fantastic job turning Kahn's illustration into a 3-minute animated video (with slightly gross sound effects). 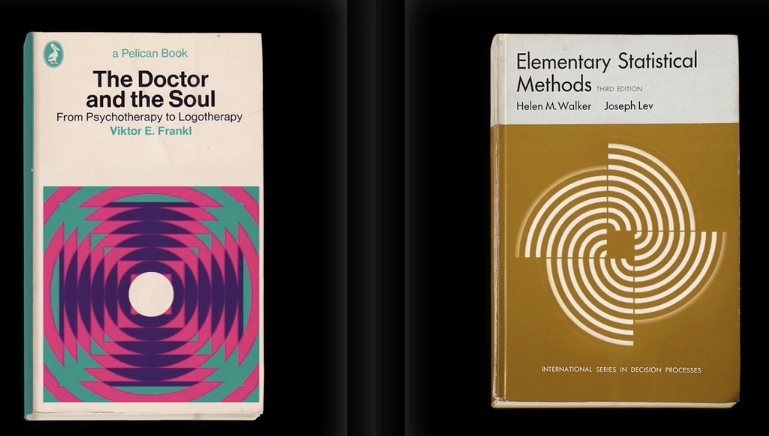 In the 1960s, book designers gave many science and psychology paperbacks glorious avant-garde and op art covers. Henning M. Lederer just released his second collection of animations of these fine book jackets! Below is the first, from 2015. Fantastic vintage graphic, minimalist, and op art paperback covers animated by Henning M. Lederer. See the full video below. More GIFs over at Dangerous Minds! For the source material, check out the Julian Montague Project and Book Worship. Fritz Kahn's 1920/30's illustration "Der Mensch als Industriepalast" depicted the human body as a large, integrated industrial process. 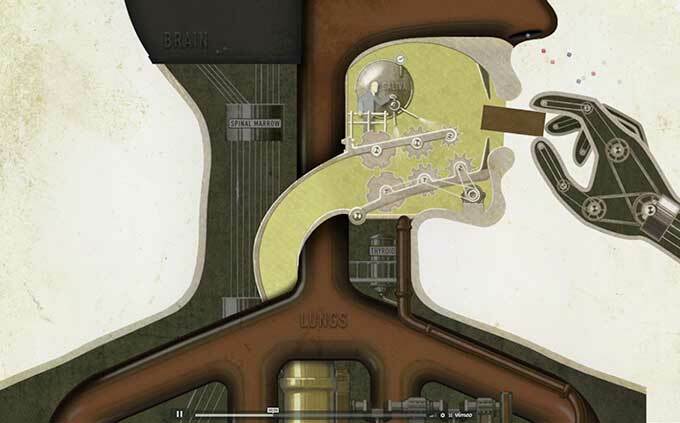 This video from Henning M Lederer animates Kahn's vision, really capturing the spirit of the mechanical metaphor for human anatomy.